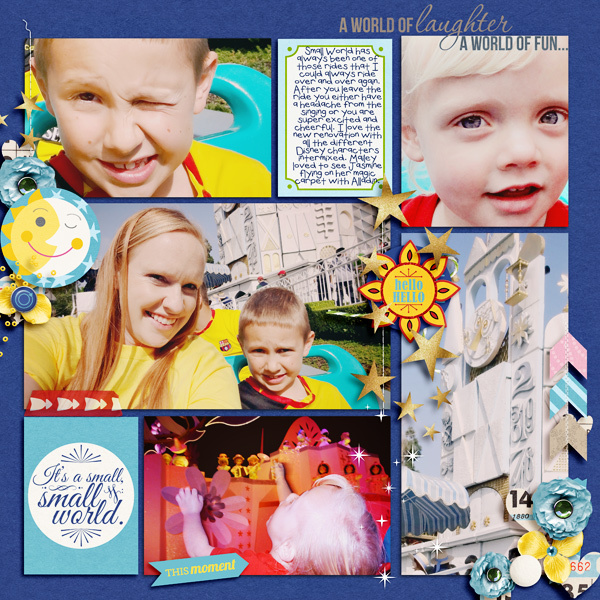 Pocket page scrapbooking is all the rage right now, and for good reason: it is one of the easiest ways to quickly & beautifully create a cohesive project with no fuss! 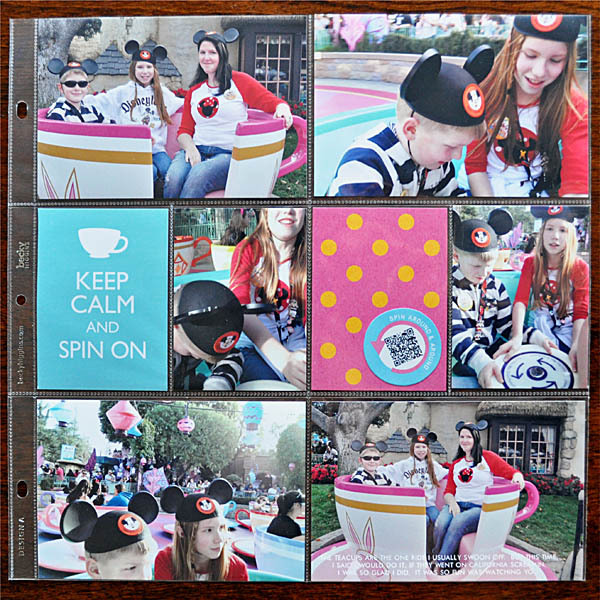 So what happens when you cross the ease of "Pocket Style" scrapbooking with a passion for "The Happiest Place on Earth" ? 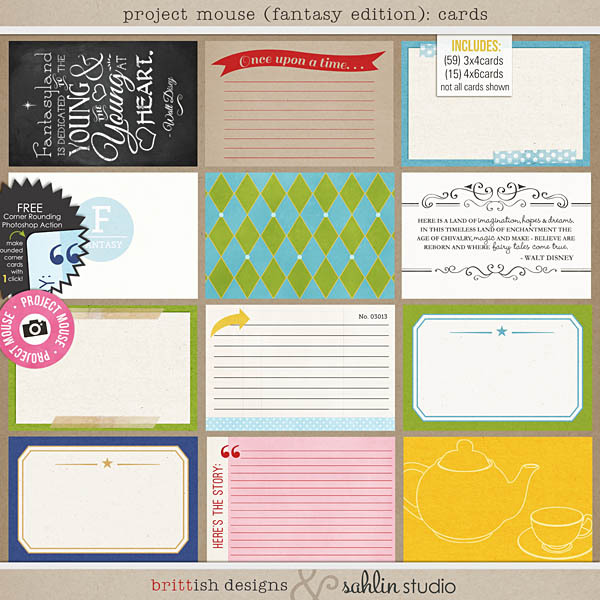 You get Project Mouse - a collab between Sahlin Studio & Brittish Designs! 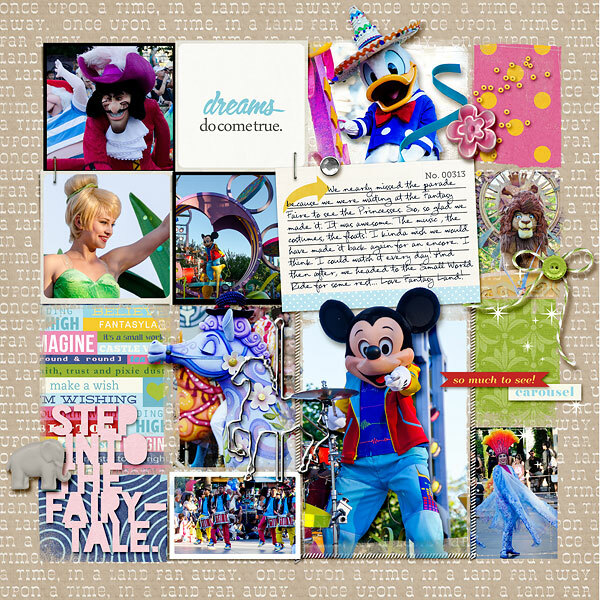 For this installment, we bring you Project Mouse (Fantasy): Elements. 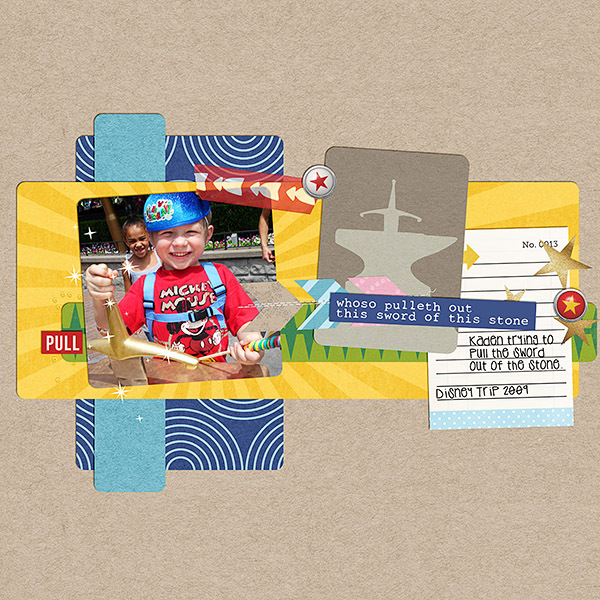 Remember that feeling you had as a kid - you know, the one where anything was possible? 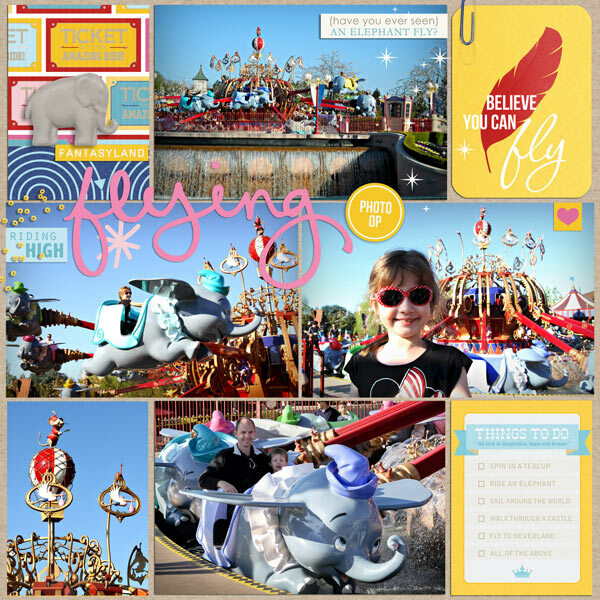 If you're a tiny tot, or even a big kid all grown up, there's nothing more precious than being open to all the wonders of your imagination. 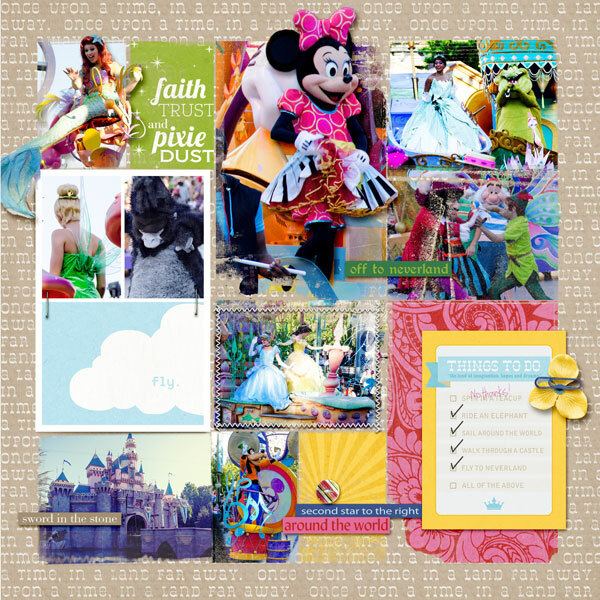 Whether it's soaring over the Big Top, taking a tipsy twirl in a Fantasyland teacup, or sharing a meal with your favorite princess, this element pack will help you celebrate all your sweetest flights of fancy. 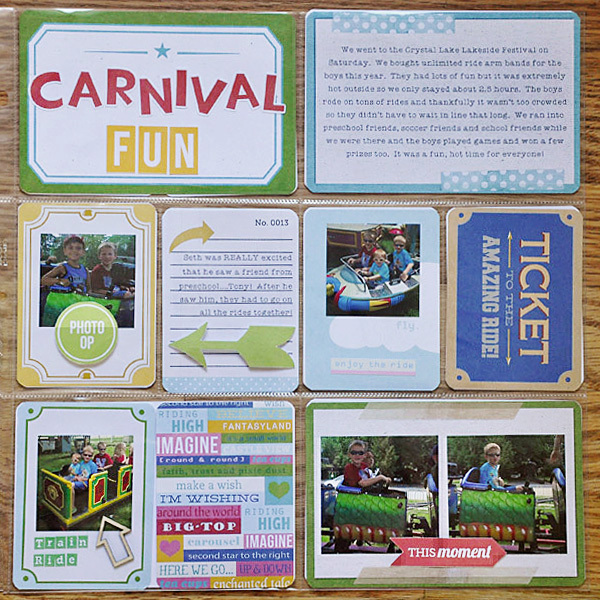 Perfect for everything from circus visits & zoo trips, to magical vacations, this collection of adorable elements is ready to print out for use on hybrid projects, or use to be used as in on your favorite digi pages. The best part? 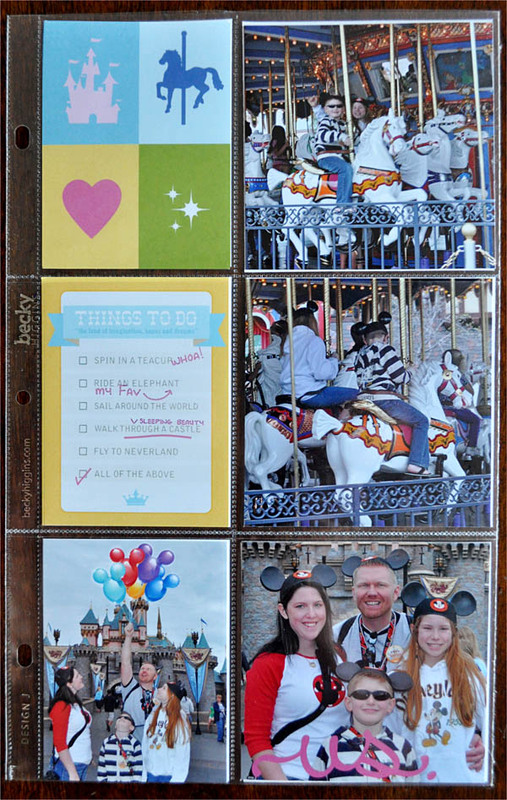 Everything is sized just right to perfectly tuck into Project Life templates & page protectors! 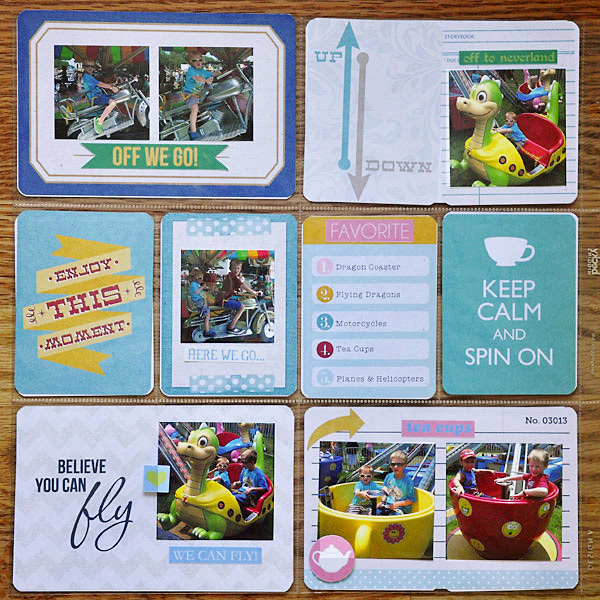 For those of you who prefer rounded edges, there is a BONUS corner rounder action for Photo Shop included. 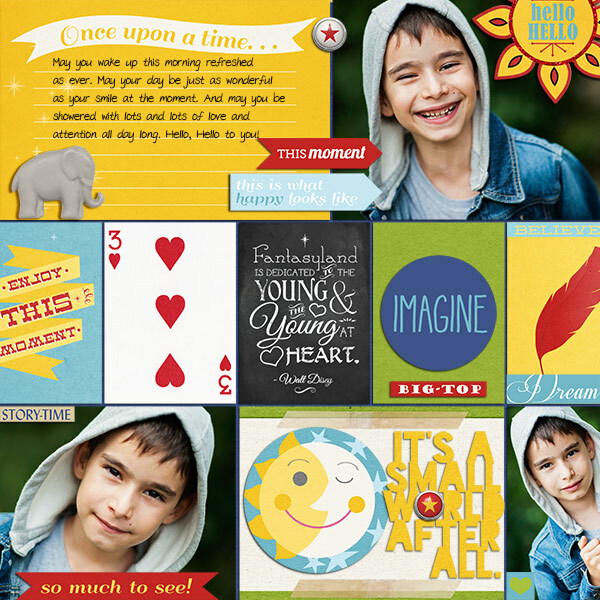 Want to learn more about Project Mouse? 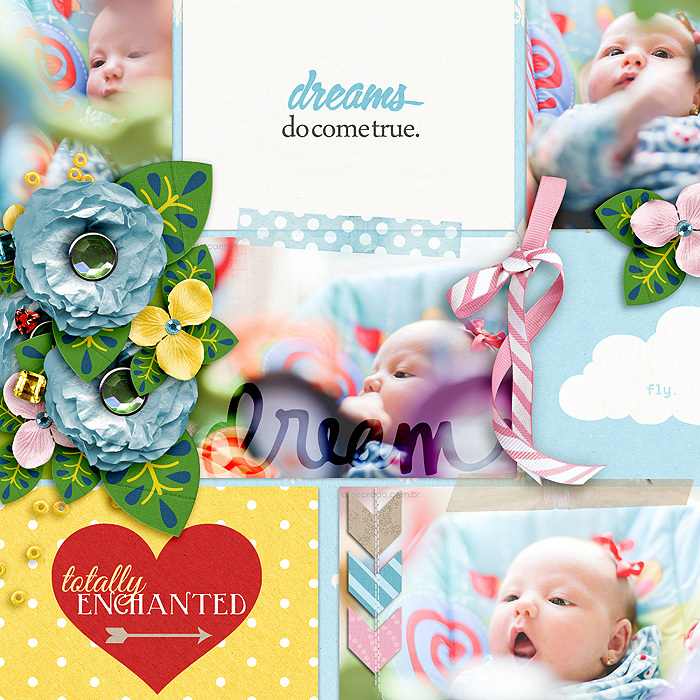 ♥ Visit my website! Looking for other Project Mouse products? 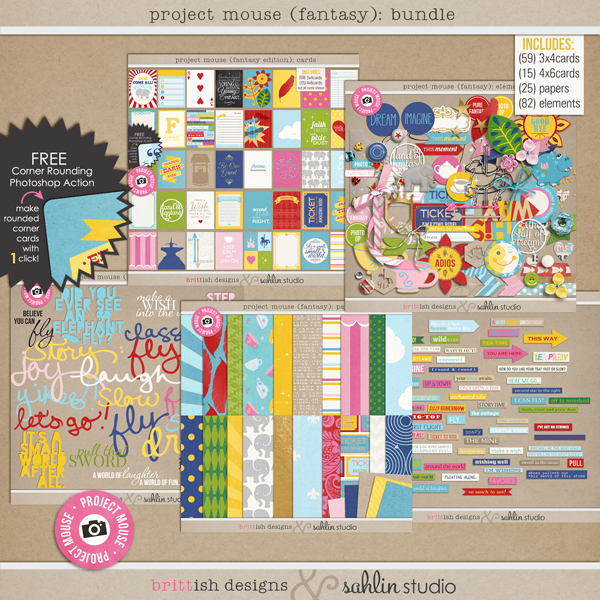 OR Buy it all in a BUNDLE and Save $$: "Project Mouse: Bundle- Fantasy Edition".